Tamil Movie Fans (that will be you!) always have high expectations for movies starring great stars, or directed by established Directors, or produced by proven Banners/Producers. The expectations are even higher when it is a movie involving a 'Super Star' (wait,...please stop clapping or whistling alright ?! this is only a review and not the title scene of Padaiyappa !!). Usually, the expectations of the fans in a Rajni movie includes: a good story with sentiments, at least one new style from Rajni, a punch dialogue which people like to quote often, some comedy scenes done by Rajni, good supporting cast, good looking & acting heroine(s), good songs and good fights. Rajnikanth's new movie 'Padaiyappa' has all these elements except for the last two items. This movie has a strong dramatic story. Sivaji Ganesan is a highly respected Jameendar in a village. Lakshmi is his wife. AruPadaiyappan (alias) Padaiyappa (Rajnikanth) is their son (please stop clapping and scroll down to read the rest of the review !!! ;-)) and Siththara is their daughter. Manivannan is Sivaji Ganesan's brother. Manivannan and his family live together with Sivaji and family. One day, Manivannan claims his share of the family wealth. Sivaji writes off all his properties to Manivannan and walks out with his family. While doing so, Sivaji dies. At that point, Panakkara (rich) Padaiyappa becomes Pauperappa ! Padaiyappa owns a small dry land property and by the turn of luck, he finds granite stones in his land. We hear the song Vazkayil aayiram thadaikallappa..... in the background and before it is over, Padaiyappa becomes Panam'appa (a rich man) ! Lakshmis brother is Radha Ravi. Naasar is his son and Nilambari (Ramya Krishnan) is his foreign-educated, arrogant daughter. Vasanthira (Soundarya) is a servant maid in Nilambaris house. Nilambari falls in love with Padaiyappa for his Five good qualities (one of the questions in next years Fifth standard final exam would be What are the Five qualities of Padaiyappa for which Nilambari falls in love with him ?!). But, Padaiyappa falls in love with Vasanthira. Padaiyappa overcomes all the hurdles and tricks of Nilambari and marries Vasanthira. So, it is just another Triangular Love story right ?! Well, it would have been, if the movie stopped here. Nilambari keeps her disappointment and vengeance deep in her heart. Time flies by and Padaiyappa is old now and he has two daughters (Preetha and Anita). Nilambari tries to take revenge on Padaiyappa and his family after 18 years, using Padaiyappa's daughter Preetha Vijaykumar. How will Padaiyappa handle this ? Will Nilambari win her battle ? - forms the rest of the story. Rajnikanths acting is very good. He portrays enthusiasm in the younger role and seriousness and maturity in the older role. His comedy is enjoyable. He does a new style of throwing a shawl, and a new Rajni Salute ! (he does a variation of his good old cigarette style - in this movie, he does it with a cigar !). Super Star looks Super Slim ! (looks like he lost some weight - he looks thinner than everybody else in the movie). The makeup for Rajni could have been better - in some scenes, the wig (toupe) is obvious and for the older Rajni, the beard is not so natural (the olders Rajnis make up is similar to his makeup in the movie Batcha). Rajnis punch dialogue in this movie is "My way is unique way'' ! The real heroine of this movie is Ramya Krishnan. She has a powerful role and she has done it well. Contrary to the rumors in the media, her role does not portray the Tamil Nadu political leader Jayalalitha (except that Ramya Krishnans character also has a lot of arrogance and anger). However, some of the dialogues delivered by Rajni to Ramya Krishnan would also fit - if he said those dialogues to Jayalalitha. Even though Soundarya acted as Rajnis pair, her role is a 'jujubi' (small) one in this movie ! There is no need to mention, but, Sivaji Ganesans acting is good (ayya, kalakiteengalae !!). Sivaji portrays the role of a serious, yet, loving father in a nice way. The scene where he runs like a kid and feels the pillar of his house for one last time - is touching. Lakshmis acting is nice. Manivannan has done good acting - for a change, he has done comedy plus serious acting. Senthil and the rest of Rajnis friends have done good comedy acting. Senthil's comedy in a scene where he goes to see a bride (along with Rajni and friends) is hilarious. To compensate for her lost movie career after "Arunachalam" movie (for doing a 'Villi' role), Vadivukarasi has been given a small, but safe role in 'Padaiyappa'. Prakashraj has acted (well) in just one scene - he should not waste his talents by agreeing to act in 'one scene' movies. Siththara, Radha Ravi, Naasar, Ramesh Kanna, Anu Mohan - all have done their roles well. Preethas acting is just OK. Abbass acting is Adapas ! (people who know Coimbatore Tamil will understand this!). Lets talk about the Music: Singa nadai pottu sigarathil aeru.....en paru Padaiyappa is an regular intro song for Rajni and it is OK (one more question in next years Fifth standard final Tamil exam would be Singa nadai pottu sigarathil aeru..." endra paadalai adi piralamal ezuthuga !!). This song also has the tune of Suthi Suthi vantheeha... in between the verses. The dance sequence for this song is good in the movie. Vazkayil aayiram ......Vetrikodi... (Sriram) - is a good motivational song and it is OK to watch along with the movie. The lyric in this song is good. This song sounds like some very old song (Srirams voice also sounds like some old singer). Minsara Kanna'' (Sriram, Nithyashree and Srinivas) song is OK. The dance for this song is not good in the movie. The costumes in this song are similar to that of Muthu. "Suthi Suthi Vandeeha...'' (SPB and Harini) song is the best in this movie with nice music and melodious voices of SPB and Harini. Harini's voice is very sweet in this song. It is also good to watch in the movie. Every body except for A.R. Rahman knows (if he knew, he should not have done it !) that "Oh oh oh... Kikku aeruthae..." (Mano and Febi) song strikingly resembles (the tune and Mano's voice) 'Ayirathil naan oruvan...' song from the movie 'Iruvar'. This song has a good beat and it is good to watch in the movie. The CD / Tape has an additional instrumental music of "Suthi Suthi Vandeeha...'' song and it is good to listen. There is nothing worth mentioning in the background score. It is very disappointing to watch the songs in the movie (except for 2 songs) - it looks like they filmed the songs in a hurry. Also, Vairamuthu (lyrics) is invisible in most of the songs. Director K.S. 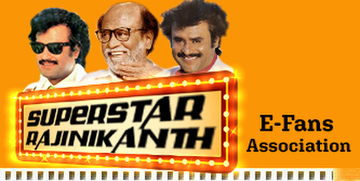 RaviKumar has clearly understood the way a Rajni movie should be and has delivered a good product. The weakness of Arunachalam movie is the strength of Padaiyappa movie - the story that is. The basic plot of the story has similarities with some of Rajnikanth's previous movies like 'Mannan' and 'Nallavanukku Nallavan'. The story (by Aruncahala story discussion group) and screenplay (K.S. RaviKumar) have been planned and executed well (except for the last parts of the movie). The strong dialogues are a plus. This movie has all the elements (except for good songs) of a typical M.G.R. movie (love, drama, sentiments, fights, some political dialogues,.....). Well done K.S. RaviKumar ! Also, K.S. RaviKumar should be appreciated for giving good comedy opportunities to Senthil, Ramesh Kanna and other people who have acted as Rajnis friends. The editing is good - there are a few good continuity scenes - where the ending of a scene leads to the beginning of the next scene. The cinematography (by S. Murthy and Prasad) is OK for the most part (since most of the movie happens in indoors). There is one scene where the camera pans a huge crowd of people and that scene is completely out of focus. The dance choreography (Tharun Kumar, Lalithamani and Brinda), art backgrounds (G.K.) and costumes could have been better. Some songs settings and costumes resemble that of the movie Muthu. Considering that it is a Rajni movie, the fight scenes are so-so. They are below average and there is no style or bravery in them (what happened to 'paranthu paranthu fighting' of Rajni ?!). The movie also has some masala car chasing. This movie has some computer graphics - it is good for the most part - except for the climax (the flying Vel) - where it has been done with poor quality. Whether Rajnikanth would enter into politics is debatable. However, if he is planning to enter politics, this movie would place him in the right track (similar to the MGRs movies that were made before he entered into Politics).